Tom Burke (Strike, The Musketeers) is the soulful Rosmer haunted by history and tradition. Hayley Atwell (Howards End, Captain America) is Rebecca West, one of Ibsen’s greatest heroines. 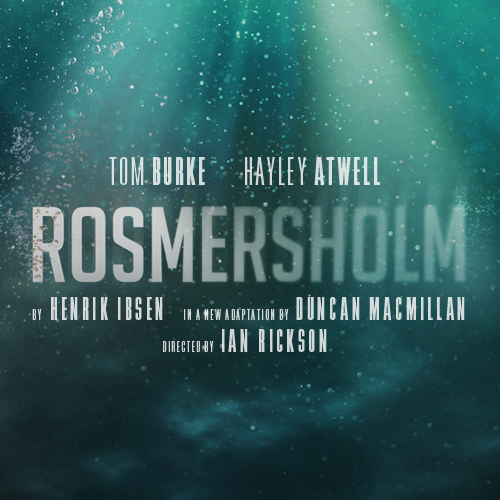 Rosmersholm is the tenth collaboration between Sonia Friedman Productions and director Ian Rickson (including The Birthday Party and Jerusalem) and marks a second time working with award-winning writer and director Duncan Macmillan, who previously collaborated with SFP on 1984, which he co-adapted/co-directed with Robert Icke.